ODOT, through an agreement with the U.S. Fish and Wildlife Service (USFWS), seeks to acquire land suitable for bat roosting and colony habitat for identified rare bats. Several species of bats, particularly endangered Indiana Bats, have declined dramatically in recent years due largely to ongoing habitat loss and the spread of White-nose Syndrome, a life-threatening disease that affects bats during hibernation. Bats are beneficial residents for our native habitats, fields and neighborhoods. 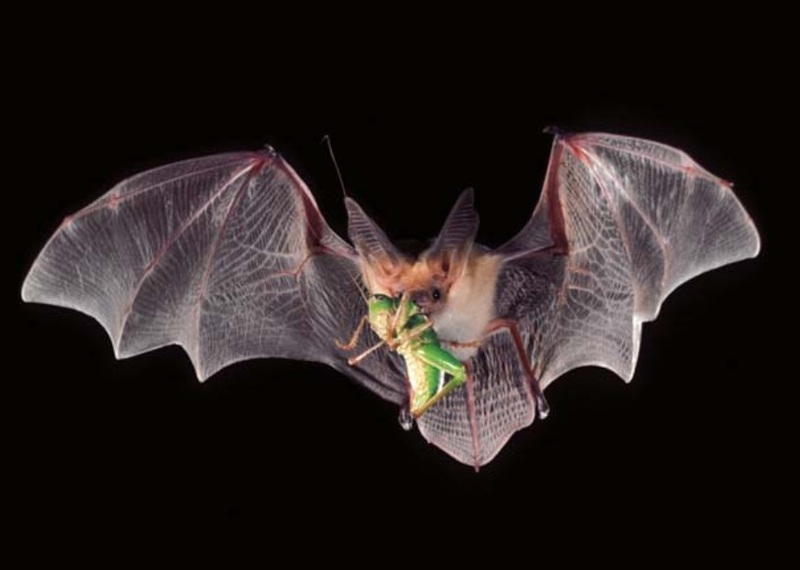 Ohio bats are insectivores, consuming large quantities of insects that are vectors for human disease and nuisances (e.g., mosquitoes) and agricultural pests that decrease crop production. This collaborative effort includes the identification, acquisition, restoration, and protection of qualified bat habitat in the WMU to offset statewide impacts related to ODOT’s transportation program. The project team is committed to conserving a minimum of 525 acres of high-quality maternity colony bat habitat within the priority areas established by USFWS based on bat survey records. The project is focused on lands in the western portion of the Scioto River watershed, a key part of AOA’s service area. 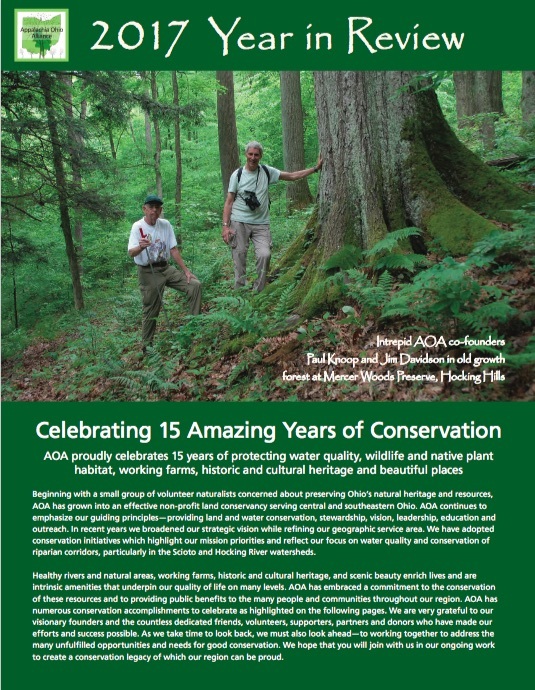 AOA will own and steward the lands conserved through the project which will also benefit AOA’s water quality and habitat conservation mission objectives. Over 1,500 acres of potential high-quality habitat were identified and reviewed by the team. Existing roost trees were identified on some of the properties. Several riparian corridor properties with excellent bat habitat will be acquired shortly, so stay tuned for future announcements.